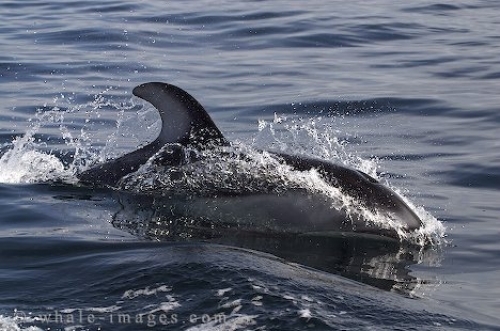 Surfing Pictures - Pacific White Sided Dolphin, British Columbia. Pacific White Sided dolphins can travel at quite high speeds as these surfing pictures show. They will at times use a boats wake to ride along with or the bow of a boat to be pushed along. I enjoy spending many hours with these intriguing marine mammals and have had numerous opportunities to get some great surfing pictures which show the speed of these wonderful sea creatures.